The SPRINT Portable Flue Gas Analyser provides gas heating technicians and fitters with many features designed to simplify the installation and maintenance of gas boiler installations. 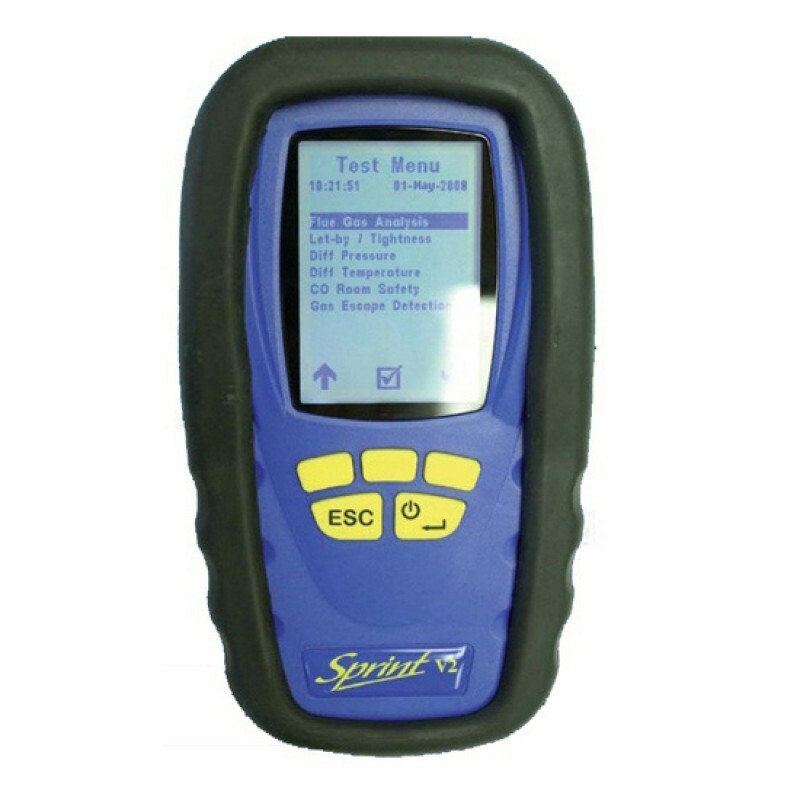 The SPRINT analyser is compact, lightweight and easy-to-use. Its magnetic rubber case means it can be fixed to the case of the device being monitored, leaving your hands free to work. The flue gas sensor includes an integrated thermocouple for measuring flue gas temperature, and an integrated Novel water separator filter that works regardless of which way up it is held. The graphical screen display and its intuitive menu mean this device is operated much like a mobile phone. Results can be stored or exported to a printer via infra-red. Connecting the device to a PC via USB allows you to download recorded files and adjust the analyser’s settings. With the Bluetooth versions, you can even download data directly to any compatible PDA.